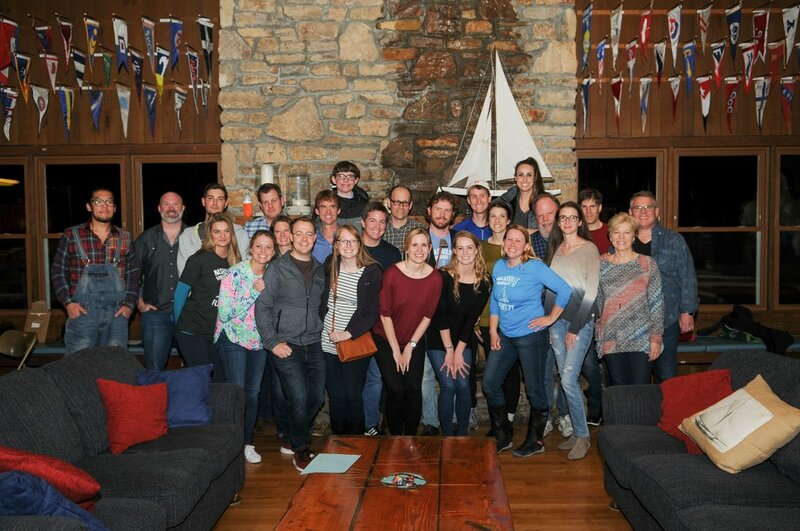 Fleet 77: The most active one-design fleet in tennessee! To foster for its members a fun, cooperative, and sustainable sailboat racing program; that improves skills; provides enjoyable, high-quality competition in balance with sportsmanship; and supplies the benefits from Fleet participation and fellowship. Vanguard 15 Mission Statement : The Vanguard 15 Fleet 77 exists to grow sailing in Middle Tennessee. We do this by making available our time, boats and skill to teach and train future sailors. We are committed to this purpose and do so with the support of both local yacht clubs, HIYC and PPYC. Double-Handed, One-Design Sailboat Racing in Nashville. Leverage existing Nashville racing knowledge to grow participation. Introduce new Sailors / Racers to the sport. Competitive racing combined with sportsmanship, composure and observance of the rules. Fleet membership growth to support financial management of Fleet assets, events, socials and successful competitive and recreational sailing. The Fleet maintains several loaner boats, trailers, gear, and equipment for racing. We race regularly and promote learning through sailboat racing and on-the-water training. What do you get with your membership? All membership dues support the Fleet Mission and cost of operation. The Fleet is 100% volunteer-run. The Fleet costs include maintaining loaner boats and gear, maintaining trailers and racing equipment, gas for the Committee Boats, fees to the respective yacht clubs for use of Committee boats, education and social events, regatta hosting and other administrative costs such as website maintenance, banking, ect. We hope that you enjoy our fleet and feel that your financial support helps to grow the sailing community in Nashville. Anyone who joins later in the year, full dues are due at that time, no discounted or pro-rated fees. WHO: Anyone interested in being involved at ANY level of skill, regardless of YC affiliation, boat ownership, sailing skill, age or any other factor. * Under 18 must have parent/guardian permission. What you get: Membership sticker, added to the email communication list, invited to social events, covered by fleet insurance for participation in fleet activities, and eligible for fleet awards. What you get: Basic membership plus use of fleet boats, helming your own -OR- a borrowed boat in fleet sanctioned races outside of yacht club sponsored regattas, use of fleet boats in approved YC events. You get a current year sticker to go on your transom that is easily identified on the water. * Includes your own crew, if they are under 18. PLUS: Boat storage at Hamilton Creek and HIYC for the respective Vanguard fleet sailing seasons. This includes first-come first-served access to the quad trailer for regattas and fleet moving. Special color current year sticker to go on your transom and dolly/trailer that is easily identified in the parking lot. Beginners: You don’t need experience. We want to teach you how to sail! Come try it out before you join. Do you already know how to sail and want to get into racing? We have lots of members with racing knowledge to provide coaching and mentorship. Education event to learn to sail. Coaching Clinics to better your boat handling and crew skills combined with sportsmanship, composure and observance of the rules. Competitive racing weekly mid-March - mid November. 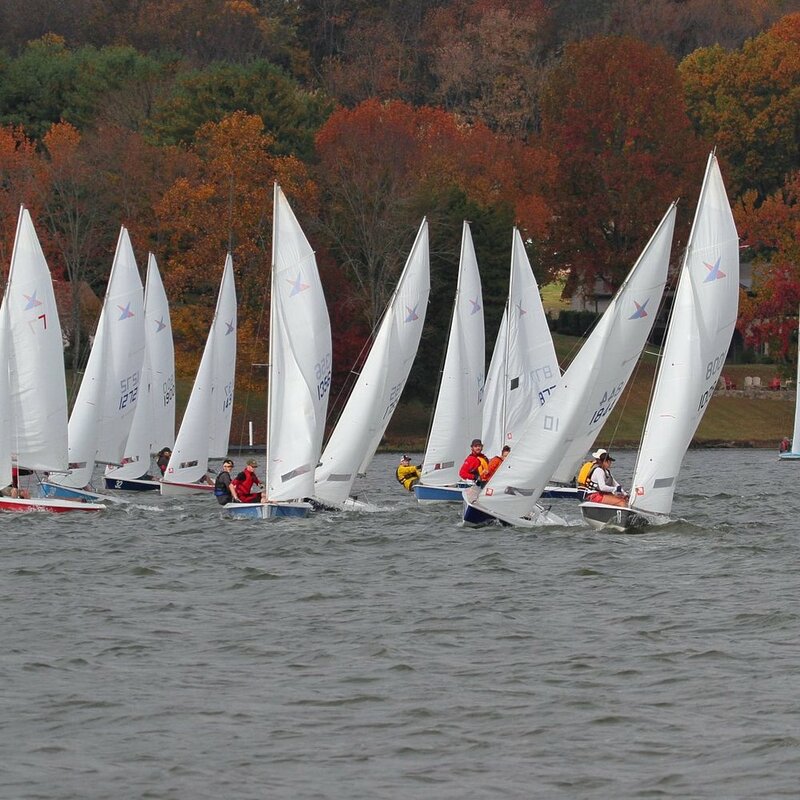 Several Regattas in the Spring, Summer and Fall including local and travel events. “This is my favorite place, my worry slips away. I could stay here for days and days and days and days. Not sure what you’re getting into? Most Sundays we have a “Committee Boat” to run races, this is a great place to watch the races from, learn how boats get into formation, and what’s going on out there. We can rotate you into some races if you feel comfortable! 2. Be a guest Crew. Jump aboard a boat to crew for someone in our fleet. The skipper will tell/show you what you need to know. You must be comfortable in boats. Bring your hat, sunglasses, sunscreen and water bottle, we can provide any needed gear. Dress in comfortable clothing and close-toed shoes. This is a great opportunity to see if our group / this sport is for you before joining the Fleet. For experienced sailors who want to try out a boat before buying one and joining the Fleet. We invite you to use a loaner boat one time to join us for a race. Join an event on MeetUp or email our Social Director (email: Laura) to get involved. Do you sail with your own fleet somewhere else in the world? We would love for you to join us if you happen to visiting us in Nashville! We are always looking to make friends with new fleets, to build relationships to invite to our regattas and to learn about opportunities to travel to yours! Now it’s time to participate in a Regatta! The fleet getting into formation, starting a race! Last year we had six members of our fleet participate in San Francisco, CA! Laura, Ania, Andrew, Clint, Jim, Julie at Nationals 2018! Our fleet loves to travel a few times per year for regattas! Here are a few we typically plan to do. Will link to their NOR when available. APRIL 13th - 14th: OL Schulz Open Regatta. Click here to download our full Google Cal! Don’t worry, you can turn it off/on your personal calendar so you only see as needed, but you will have access to all the fun things going on with Sailing in Nashville and our Fleet! We practice and race on Sundays provided there is not another regatta going on at the club of the season. We sail/race in most conditions - excluding thunder and lightning! Post-race “Chalk Talk”: hang with the “winner” of the day leading weekly discussion! BYO snack / beverages to mingle and meet the fleet on land! 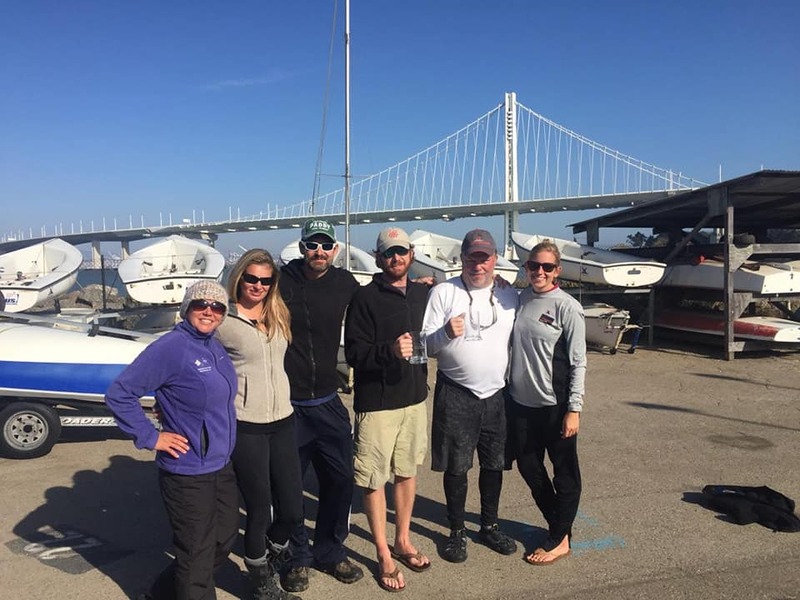 2019 Kick Off party - welcome Fleet 77!